Get together 5 blokes who are just big kids and beer and you get The Beer Farm Margaret River. 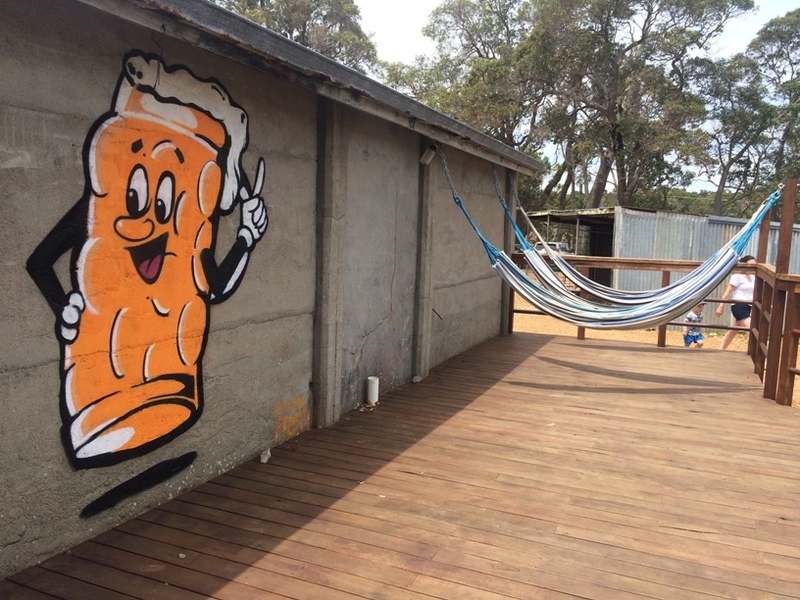 These beer loving dudes wanted to create a place that was casual, fun, affordable to enjoy good beer - and so The Beer Farm in Metricup, Margaret River was born. 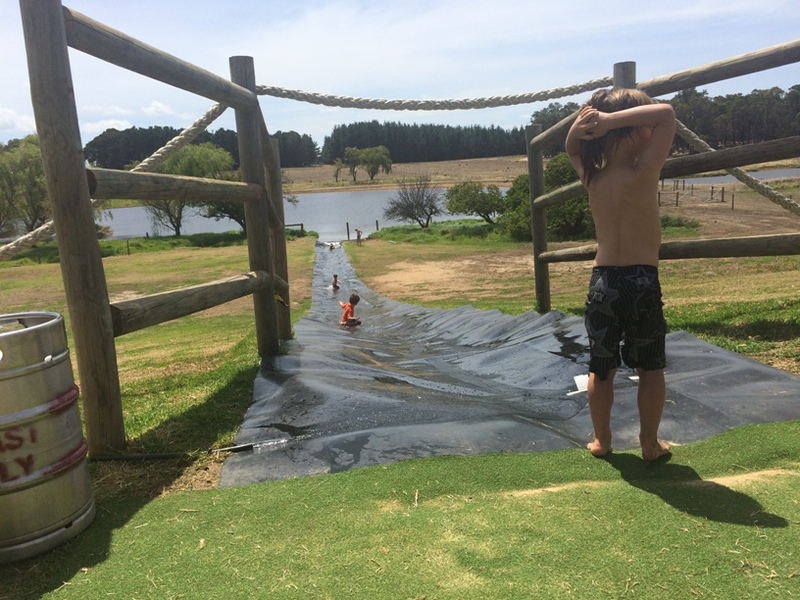 Check out the new you beaut slip n slide, custom made, installed and council approved in 2019. 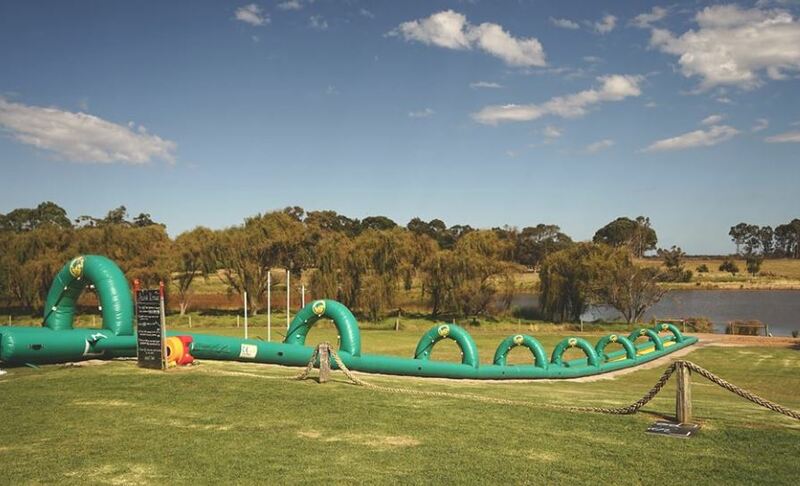 You may have seen their most popular family attraction - the slippery slide! This was a definite hit with the kids. 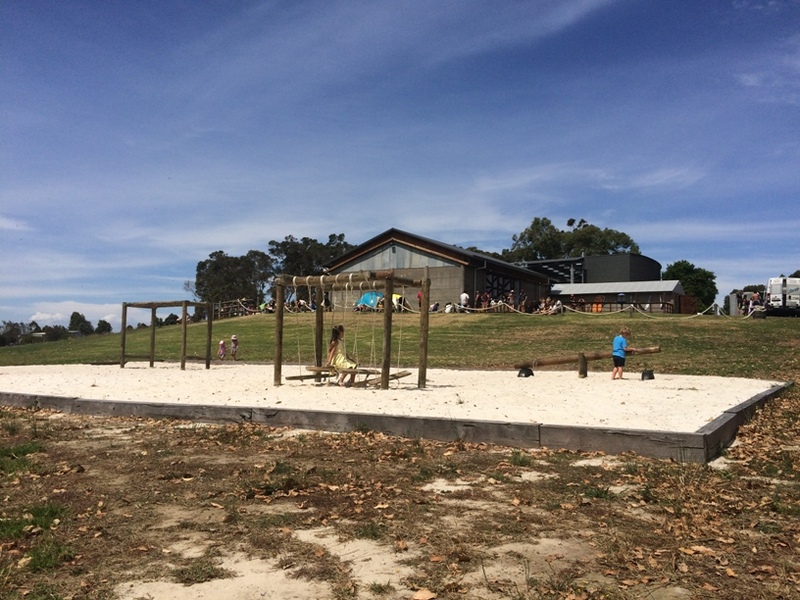 The Beer Farm worked with the council to ensure this met all safety and environmental requirements, so there are a few rules one being kids only. Sorry grown ups. There is a mound at the bottom to stop kids from making their way into the dam and of course parental supervision is required. We are pretty sure our kids went up and down this slide at least 100 times during the day! It literally kept them occupied ALL day. 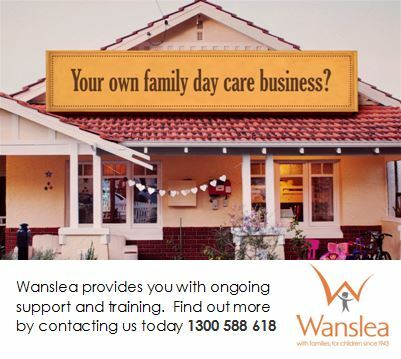 You can seat yourself inside the open air shed or outside on the grassed area. There are several tables with umbrellas out on the lawn. You can choose from bench seating or there is a lounge area in the corner. Highchairs are available for the little ones too. 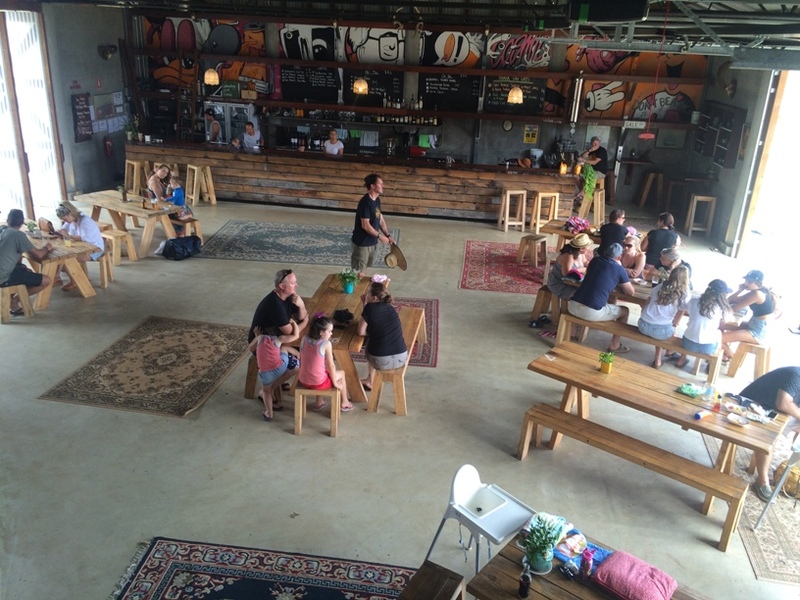 From the bar you can enjoy The Beer Farm brewed beers on tap. There are also local ciders on tap and local wines to enjoy. 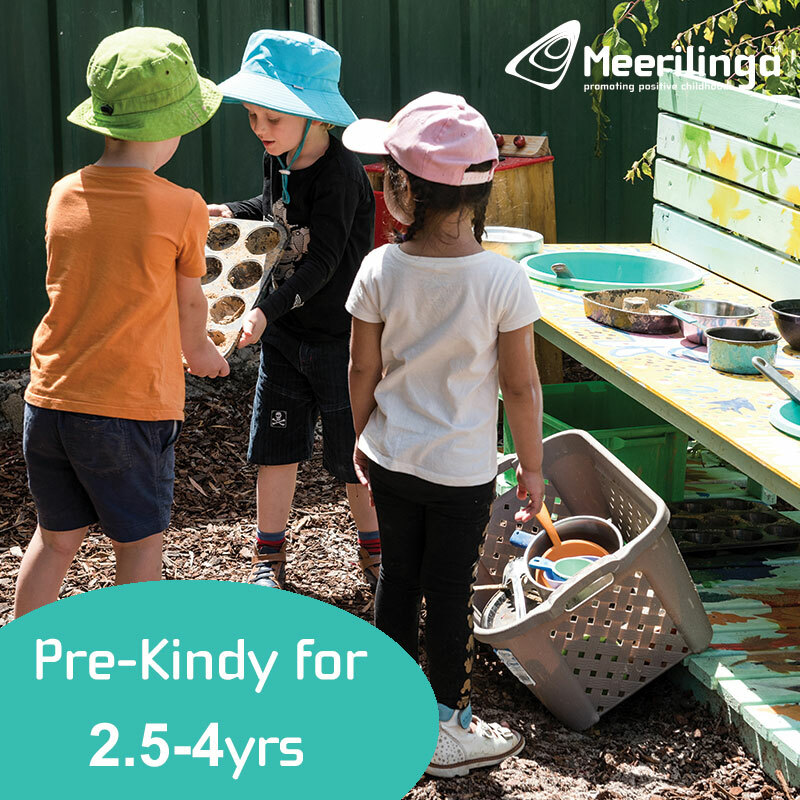 There is lots of grassed area outside, so we highly recommend packing a picnic rug and pop up shade in case you miss out on a table on a busy day, or if you want to set up closer to the slippery slide to keep an eye on the kids. 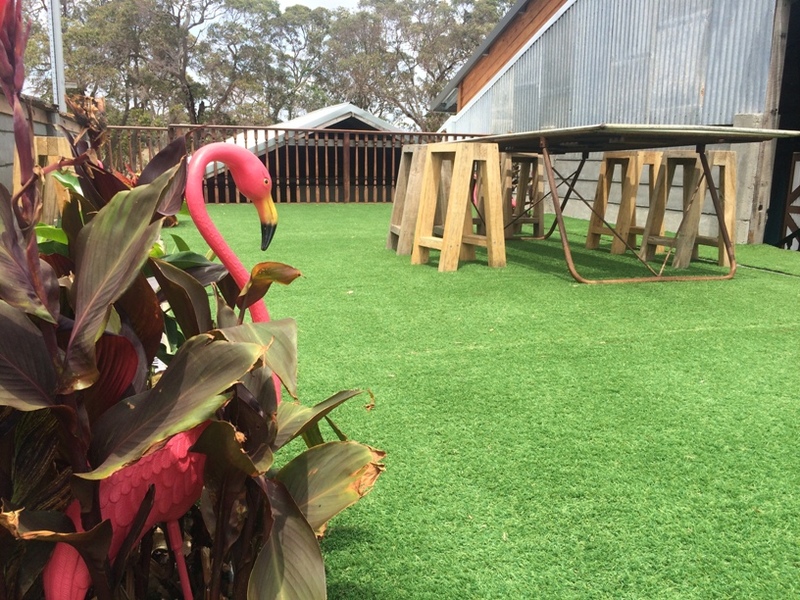 If you feel like getting a bit of sun and looking over The Beer Farm while you enjoy a few drinks then you will love the upper deck which you can access up the stairs from the back of the shed. You may even like to enjoy a little siesta in one of these hammocks. Food wise things are very low key and simple. 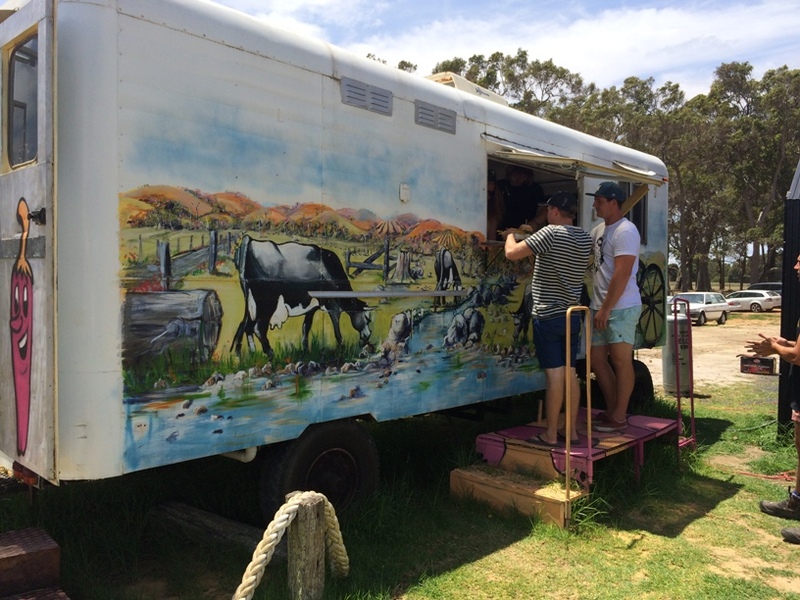 When we visited the food truck was serving a delicious lamb, slaw and mint in a bun, a vegan option with mushrooms and slaw and hand cut chips. 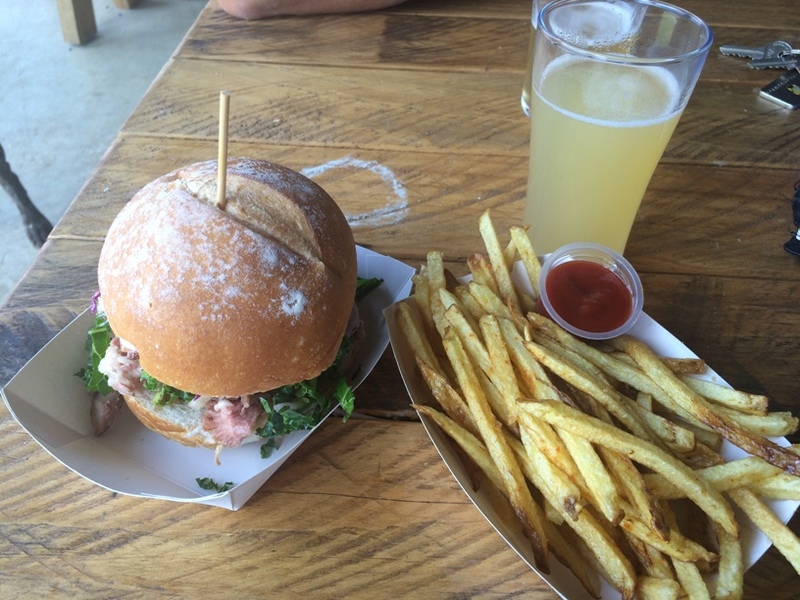 So don't expect a big menu to choose from when you visit, it's mostly about the beer and the fun. You are welcome to bring along a picnic or snacks too (no byo alcohol of course). 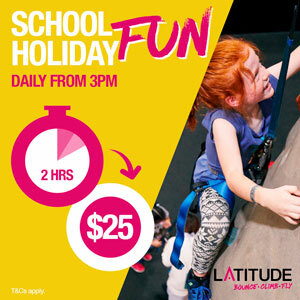 The fun doesn't stop with the slippery slide. There is a kids playground at the bottom of the hill, a basketball ring, ping pong table, darts and a couple of old school arcade games inside (coins required). 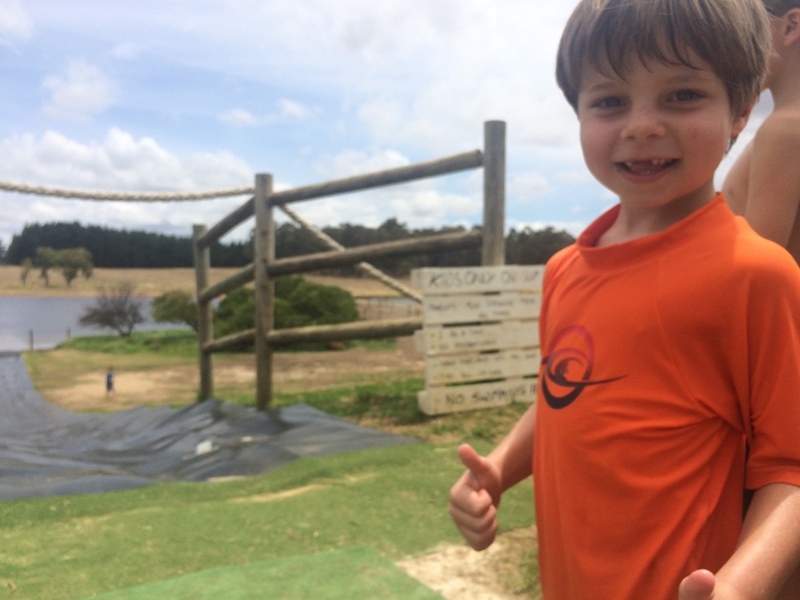 Team Kids Around Perth gives The Beer Farm Margaret River, the big thumbs up. 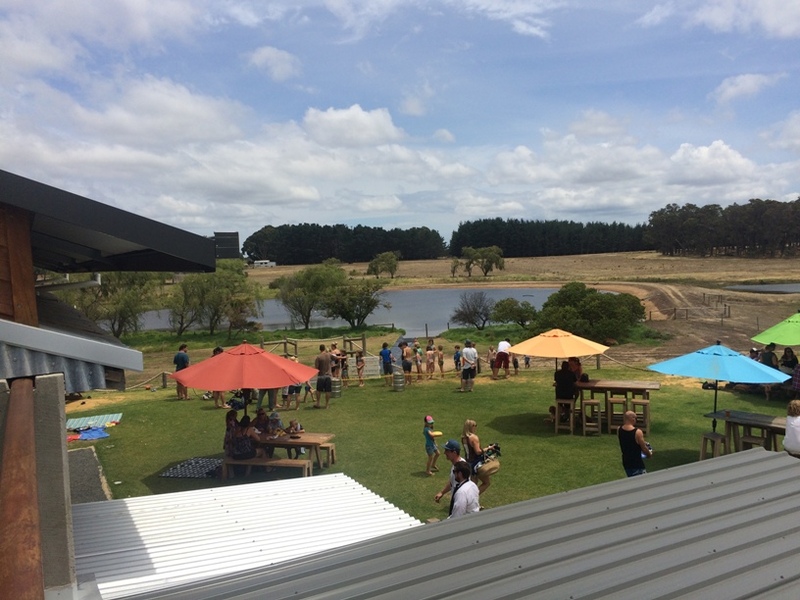 It's an affordable, fun and relaxed day out for the whole family and is a must if you are looking for a Margaret River brewery experience next time you are holidaying down south.